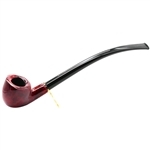 Erik Nording Valhalla #400 Polished Briar Pipe - Nording Valhalla 400 Series Briar Pipe is a traditional style bowl with beautiful dark graining, a high gloss smooth finish and acrylic stem. 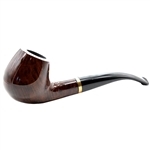 The Valhalla name comes from Norse mythology. 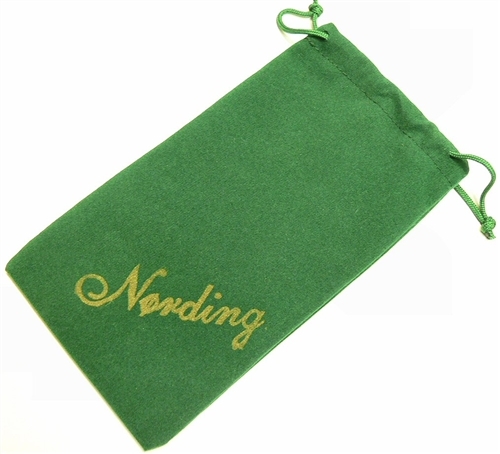 This Erik Nording classic briar pipe is stamped "Handmade by Erik Nording" and comes with a green velvet drawstring bag. 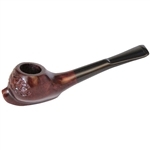 Since the early 1960’s Erik Nording is known worldwide for his unique, one of a kind, hand carved pipes that feel good in the hand, light in the mouth, and guaranteed to smoke great from the very first puff. 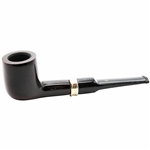 Located just outside Copenhagen in Denmark, no two Nording pipes are identical, making them very personal and highly sought after.